Sajid-Wajid is a Hindi music composer duo who work for Bollywood films. 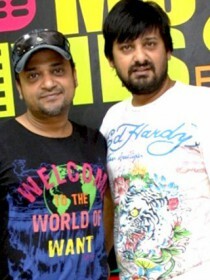 Sajid Ali with his brother Wajid Ali, forms the musical duo known as Sajid-Wajid. They have been honoured with the life membership of International Film And Television Research Centre of Asian Academy Of Film & Television.